Spotify and Google Play Music share many similarities Spotify vs. Apple Music vs. Google Play Music: Which Is Best? Spotify vs. Apple Music vs. Google Play Music: Which Is Best? While there are lots of music streaming services around, there are three major ones that stand out above the others: Spotify, Apple Music, and Google Play Music. But which is best? Read More . However, they’re also very different in lots of ways. One of the most significant differences involves the library: unlike Spotify, Google Play Music allows you to both upload your own music Use Your Browser To Upload To Google Play Music Use Your Browser To Upload To Google Play Music Google just decided to make Google Play Music a lot more useable. The following Chrome extension will change the way you can make use of Google Play Music for good. Read More and purchase tracks and albums through its store. But what happens to all the music if you decide to cancel your service and try a different platform? 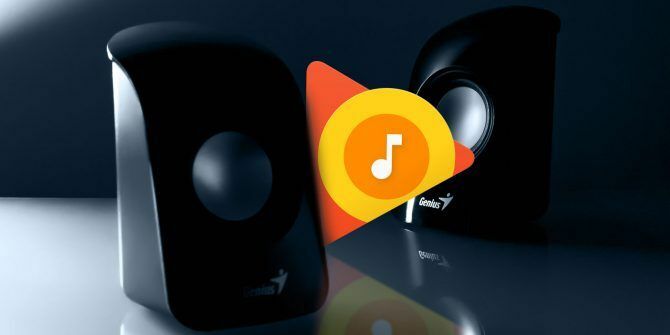 Luckily, it’s easy to download your entire Google Play Music library, including any music you have purchased. Let’s take a closer look on how to do this. To download your music from Google Play, you will first need to grab a copy of the Google Play Music Manager. It’s a free, official app from Google and is available on Windows and Mac. It’s used to download and upload music. Open Google Play Music Manager. Click on the Download tab at the top of the screen. Choose either Download my library or Download free and purchased. Note: It is not possible to download both libraries at the same time. If you want both, wait for one to fully complete, then download the other. Now you need to wait for the files to download. If you even have a moderately large collection, this could take several hours. The speed of your internet connection will also have a massive impact on the download time, but you might be able to speed up your connection Fix Your Internet Speed With These Windows Tweaks Fix Your Internet Speed With These Windows Tweaks If you're dealing with a slow internet connection, you can try a number of largely unknown Windows tweaks to relieve unnecessary data usage. Read More if you follow some of our tips.